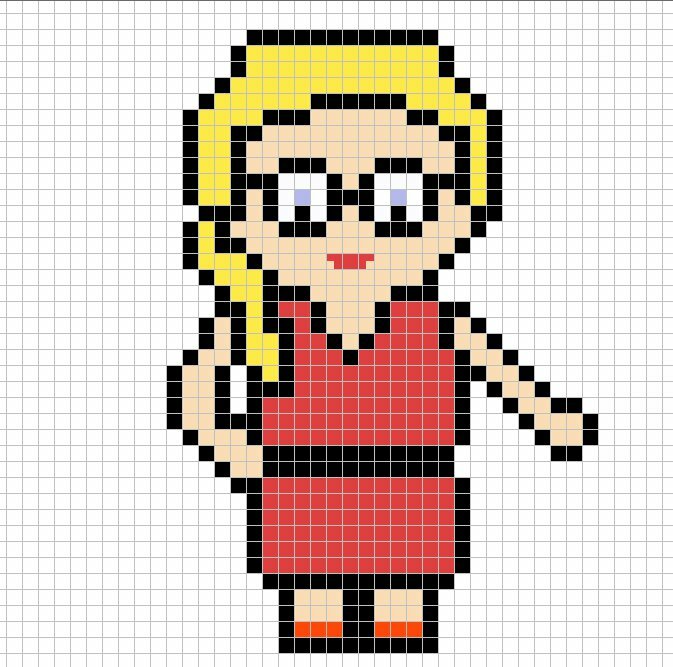 Remember when I mentioned that I was going to make one chart from Arrow? Well, make that three. 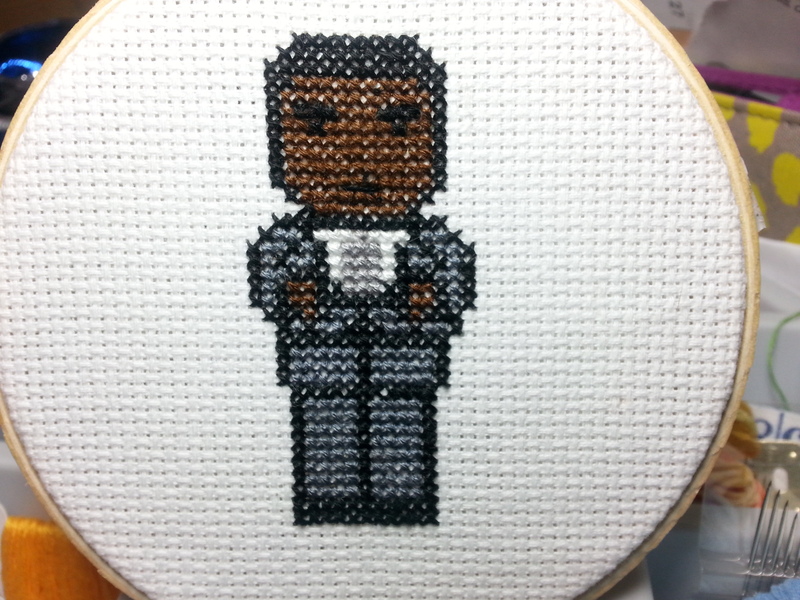 Really, I couldn’t not make a Digg cross-stitch because, well, it’s Digg. 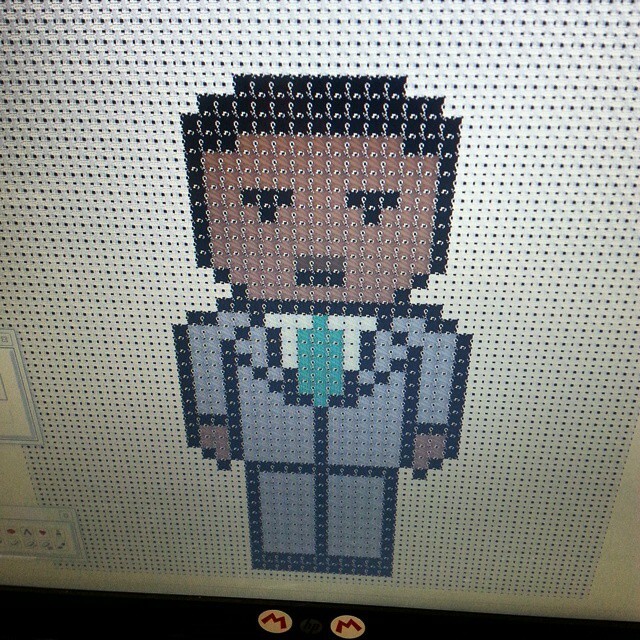 He gave me a little trouble because originally I had his arms to his side, looking all stiff and uncomfortable. 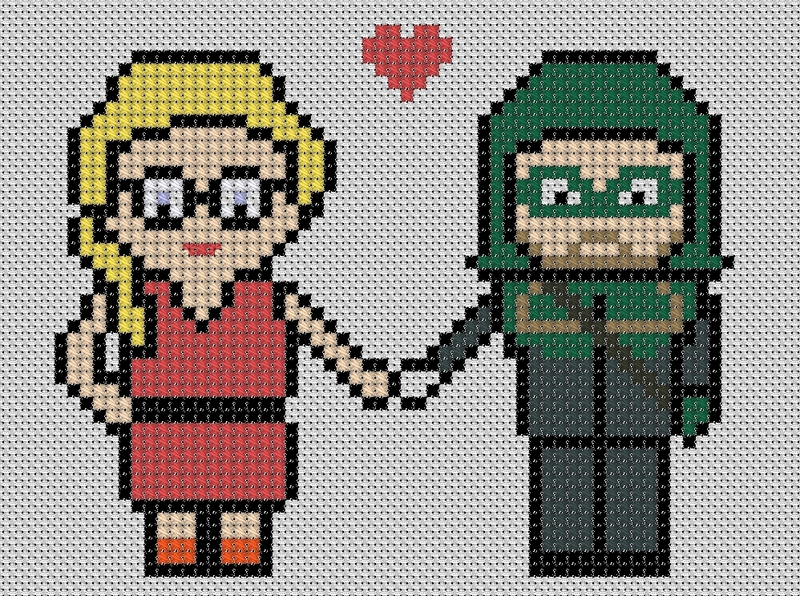 Then, I watched the season premiere of Arrow and realized what it was missing: those crossed arms. 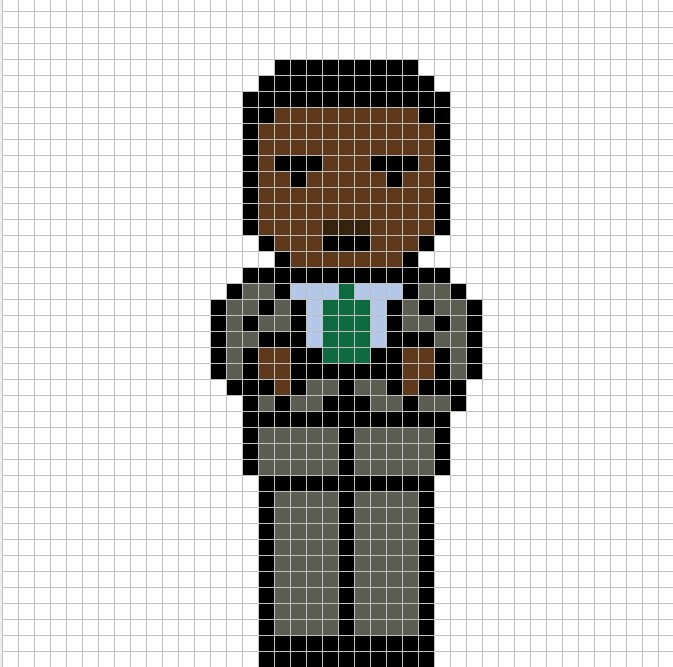 This is a straightforward cross-stitch. No blending colors, no glow in the dark thread. 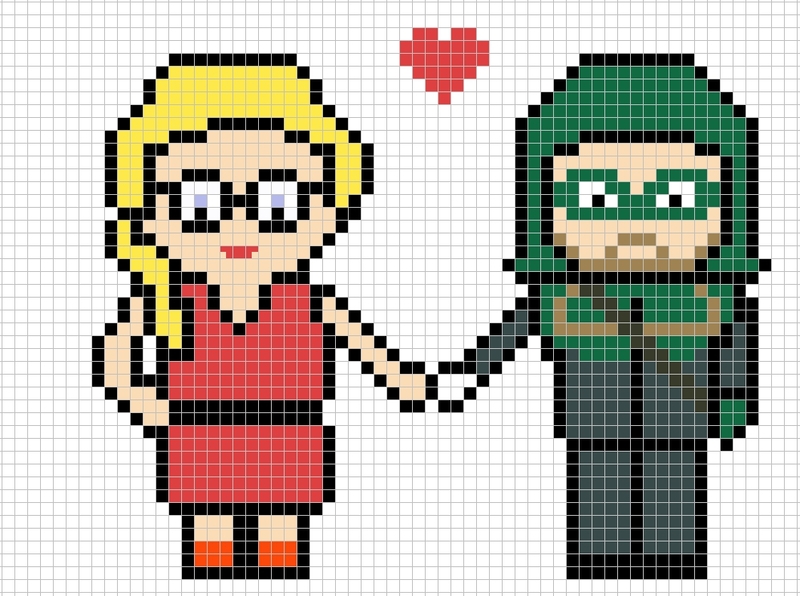 Aaaaand, (This is like the big fireworks finale — I don’t think I’ll be making more Arrow cross-stitch patterns for a while) for you Olicity shippers, I made this for you. Go ahead and stitch it up while this season slowly breaks your heart. 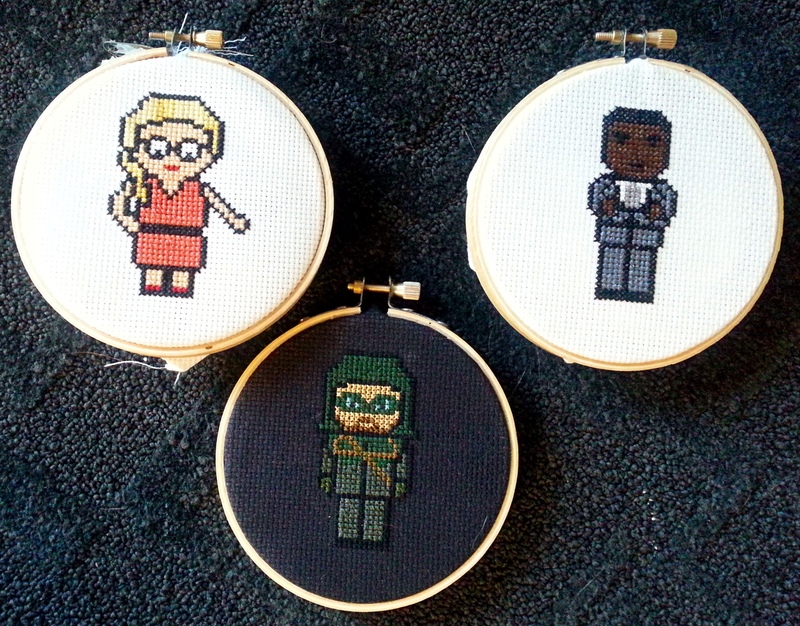 So, yes, now you can cross-stitch to your Arrow-lovin’ heart’s content. ❤ And always if you do decide to tackle this project, let me know! CUTE! 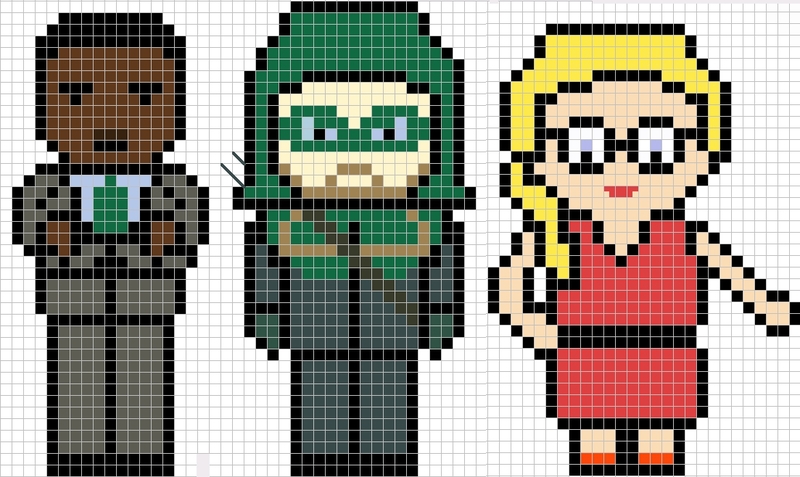 I think I’m going to try the Olicity chart as a crochet project!